The Japanese yen plunged versus the dollar on Friday after the Bank of Japan (BOJ) adopted negative interest rates on some deposits in a desperate attempt to revive a moribund economy. The BOJ lowered its benchmark interest rate to -0.1% from 0.1%, joining its Eurozone rivals in adopting negative interest rates. This effectively means that the BOJ will charge commercial banks for some deposits, encouraging them to use their reserves to increase lending to businesses and consumers. “The BOJ will cut interest rates further into negative territory if judged as necessary,” the central bank said, adding that it will do everything necessary to bring inflation back to its target of 2%. The Japanese yen came unhinged on Friday, falling to five-week lows against the US dollar. The USD/JPY surged 2.1% to 121.26 after spending the entire month of January below 120.00. 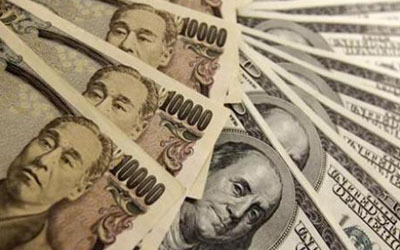 For currency traders, the gain on Friday for the USD/JPY amounted to around 280 pips. The pair is likely to face immediate support at 120.60. On the upside, initial resistance is likely found at 121.35. Gains against the yen pushed the US dollar index sharply higher on Friday. The US dollar index, a weighted average of the American currency against a basket of six rivals including the yen, rose 0.9% to 99.42. In economic data, US gross domestic product (GDP) slowed in the final quarter of 2015, as consumers tempered their spending and businesses cut back on investment. US GDP rose at a 0.7% annualized pace in the fourth quarter after a 2% gain in the July to September period, the Commerce Department said on Friday. Full-year growth in 2015 came in at 2.4% for the second straight year. Plunging oil prices and the negative impact on exports from a stronger dollar were the main catalysts behind the sharp downshift in growth. According to analysts, these factors are unlikely to change any time soon, which means household spending will have to pick up the pace to sustain the recovery. In the energy markets, oil prices rebounded for a fourth consecutive day, as investors held on to hopes that Russia and OPEC would meet to discuss trimming output levels. US-traded crude climbed 54 cents or 1.6% to $33.76 a barrel on the New York Mercantile Exchange. Global benchmark Brent crude added 52 cents or 1.5% to $34.41 a barrel on ICE Futures Europe.